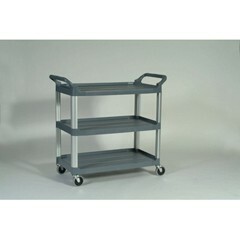 Rubbermaid� Commercial Xtra� Utility Cart Aluminum-framed, caster-equipped utility cart. Sized for large loads. Rounded corners.